Recently, a lot of questions have arisen about the usefulness of QuickBooks as church accounting software. 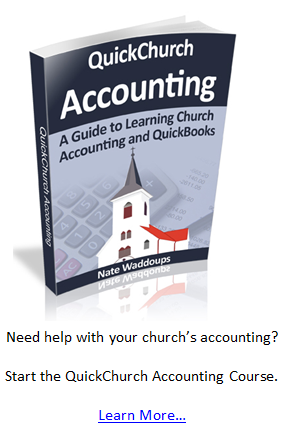 The following is an unbiased review of using QuickBooks for your Church's accounting. QuickBooks has multiple versions of accounting software. They don't have any software that is specifically named "Church accounting software." 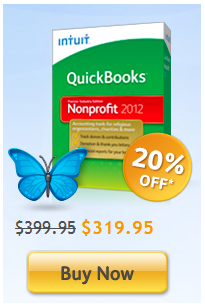 They do however have a QuickBooks Nonprofit Edition. This edition is very popular among churches and non-profits. According to several surveys from The CPA Technology Advisor about 70 percent of non-profits use QuickBooks. At least one CPA I have communicated with thinks that this number is closer to 90 percent for churches. In other words, a majority of churches are using this software for accounting purposes. The premium nonprofit version (as opposed to the normal version) would probably be the best to use for your church's accounting system, although some churches get away with using normal QuickBooks, known as QuickBooks Pro. The number one advantage of using QuickBooks NonProfit for your church's accounting is its ease of use. Many people, even those without much of an accounting background, are able to use QuickBooks effectively. A learning curve does exist, but it isn't as large a curve as trying to learn a specialized church accounting software system. To make things easier for those of you who decide to use QuickBooks Nonprofit, I have created a step-by-step guide to using QuickBooks for churches called the QuickChurch Accounting Course (you can read more about it by following that link). Another advantage of using QuickBooks is its customer support. When we mention customer support, we are not necessarily talking about the people at Intuit who designed the software (although they are excellent). Chances are you know someone who is already quite familiar with QuickBooks. Imploring them to help you set up and run QuickBooks as your church accounting software might be the best route for your church. One final advantage that should be mentioned is the QuickBooks Online Payroll option. This service is well worth the cost for most churches. Let's face it, most church staff don't really have a clue how payroll works or how time consuming it can be. If you use this online service, QuickBooks will do the hard work for you (direct deposit, W2 calculations, tax help, and customer support for the questions that you're bound to have). Intuit Online Payroll Easy to Setup and Use. Try Now FREE for 30 Days. QuickBooks has standard payroll software if you're interested in that as well. In the past QuickBooks didn't leave much of an audit trail in some situations. If an error was made by your church accountant, then he/she could easily reverse the error without leaving any evidence. This is no longer a problem. Errors can be corrected easily, but the software does a great job of leaving an audit trail documenting what actually occurred. You may be thinking that being able to easily correct errors is something you want in your church accounting system. The downside of this is that it can be easily manipulated. Most church accounting software requires an adjusting entry when an error is made. This leaves what is called an audit trail so that a church auditor, loan officer, or banker can look back and see any adjustments made throughout the year. A skilled church accountant could easily cook your church accounting books if proper internal controls are not in place. QuickBooks now has these controls in place and is now very safe to use as church accounting software. One disadvantage of using QuickBooks Professional instead of QuickBooks Non-Profit is that it was originally designed for businesses, not churches. Intuit's non-profit software will make it easy to support your church's reporting requirements, but QuickBooks Pro may not support your church's reporting requirements or terminology. Disadvantages include the fact that this software was originally designed for businesses. This was a larger problem when Intuit didn't have a special version for not-for-profits. 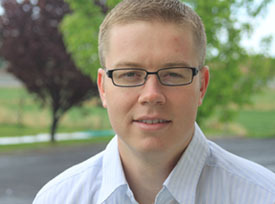 The QuickChurch Accounting Course: Don't know anything about church accounting? No problem. This course will get your church accounting system up and running in no time.